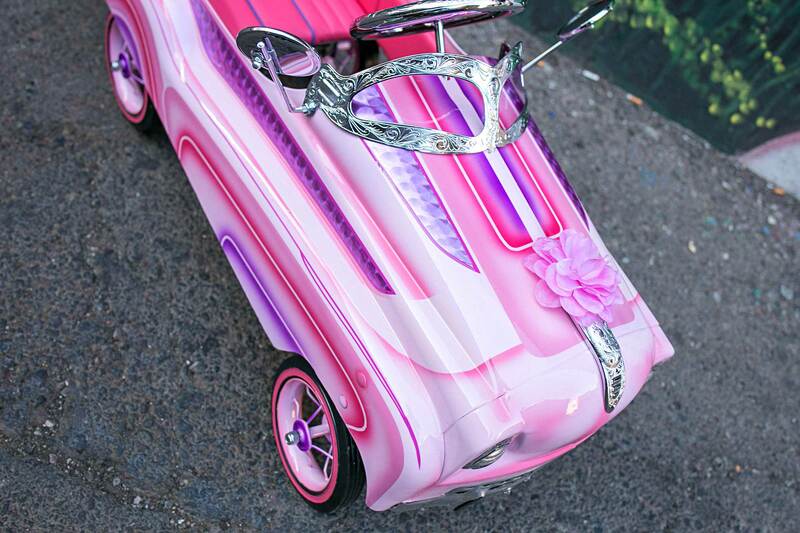 The birth of a newborn child is one of the greatest things to bless a family, but coming in at a close second is the hope that they will share your same passions. 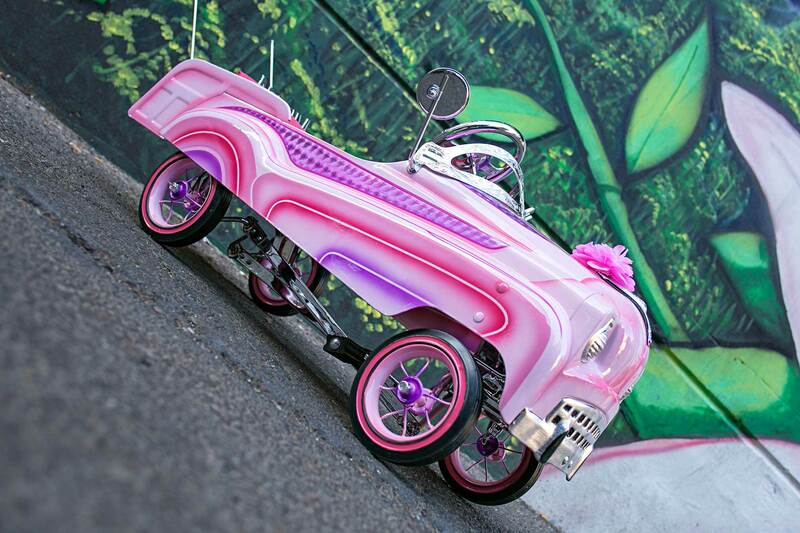 Some may dream of having their child root for the same sports team they love, but for lowrider lovers, well, we all hope that they’ll take pride in the lifestyle we grew up in. 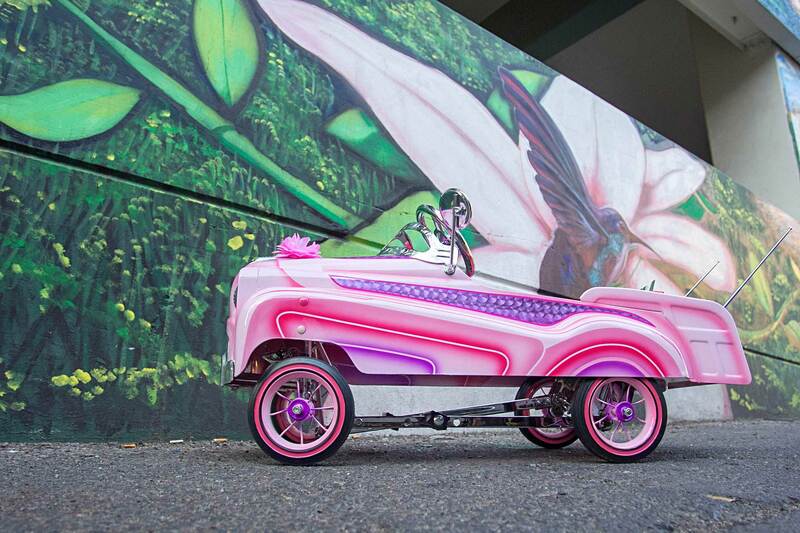 That said, some sit around waiting for the magic happen, while others are willing to put a plan forward, which is the case for Carlos Villanueva—a man who decided to waste no time introducing his daughter, Angie, to the lowrider scene. 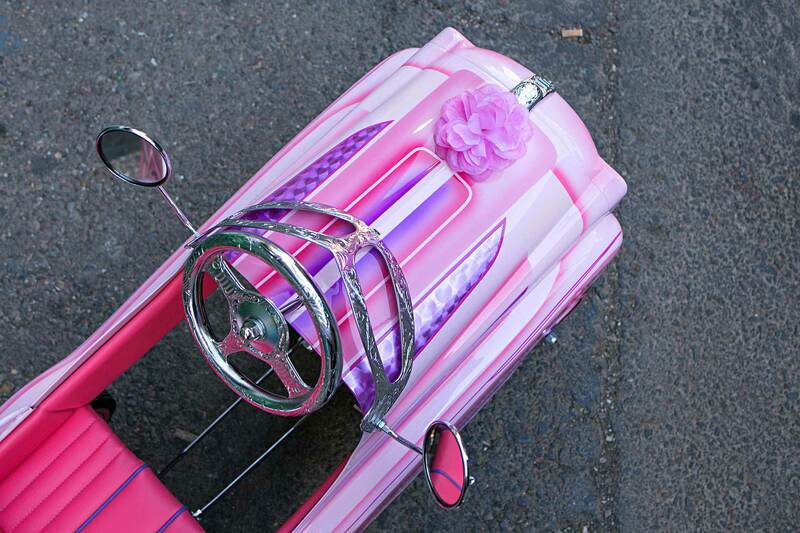 To help influence her, Carlos decided to build an In Step Pedal Car. 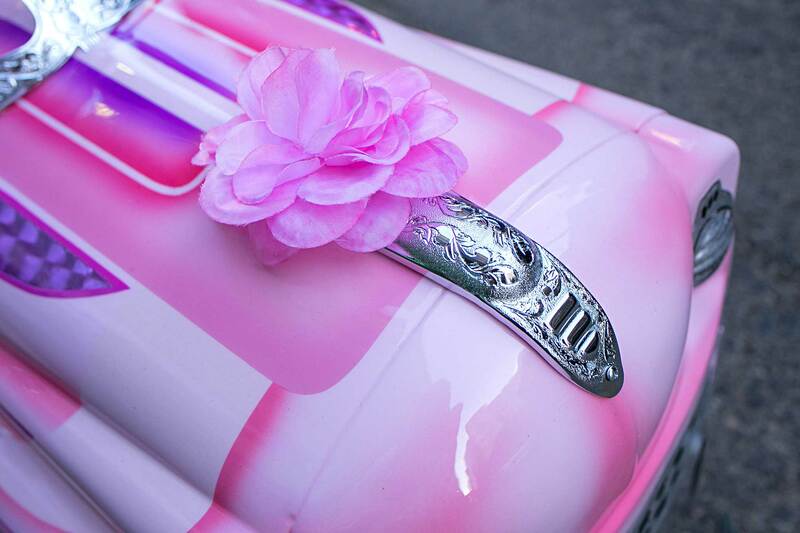 He had big plans and to begin the original paint was stripped down and prepped to receive a special blend of pastel pink, microflake, and pearls, along with ghosted patterns. 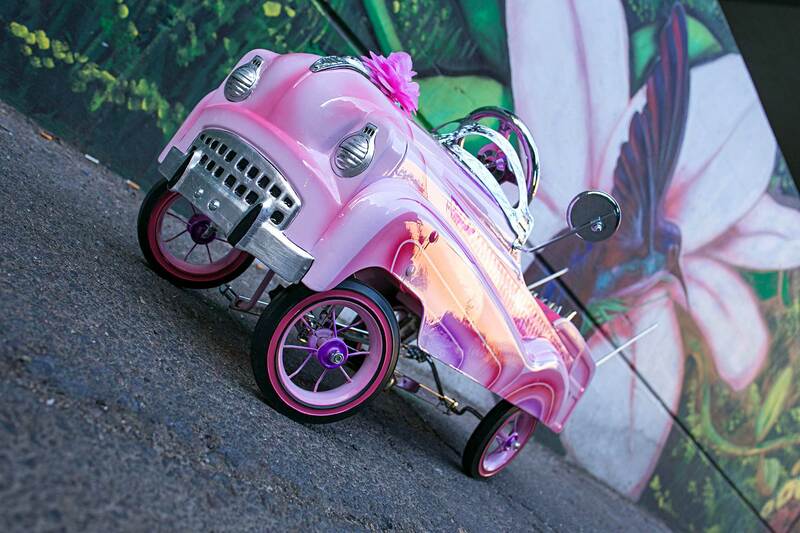 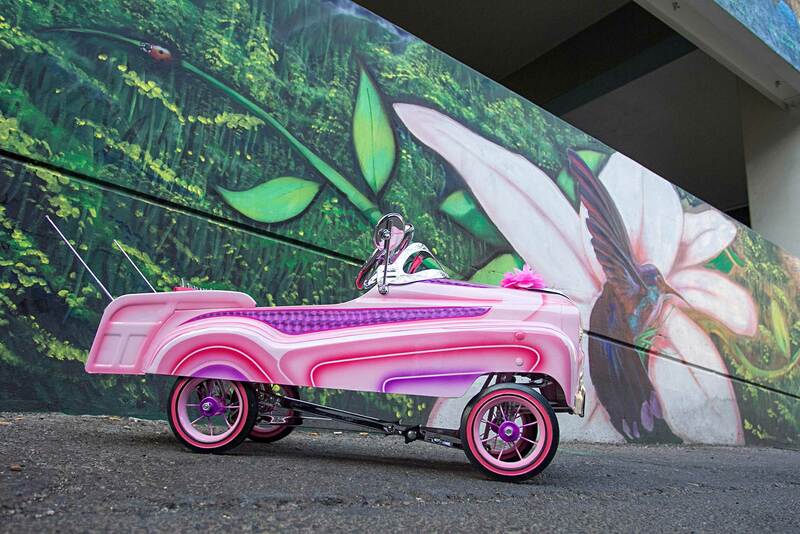 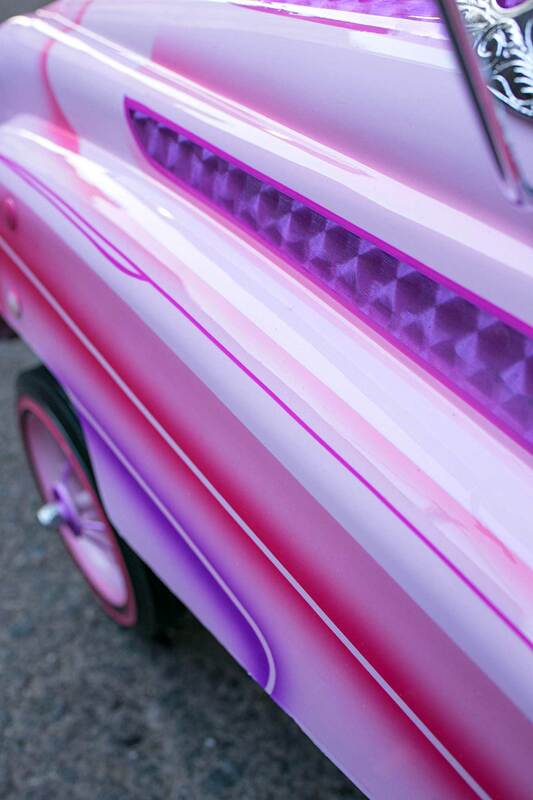 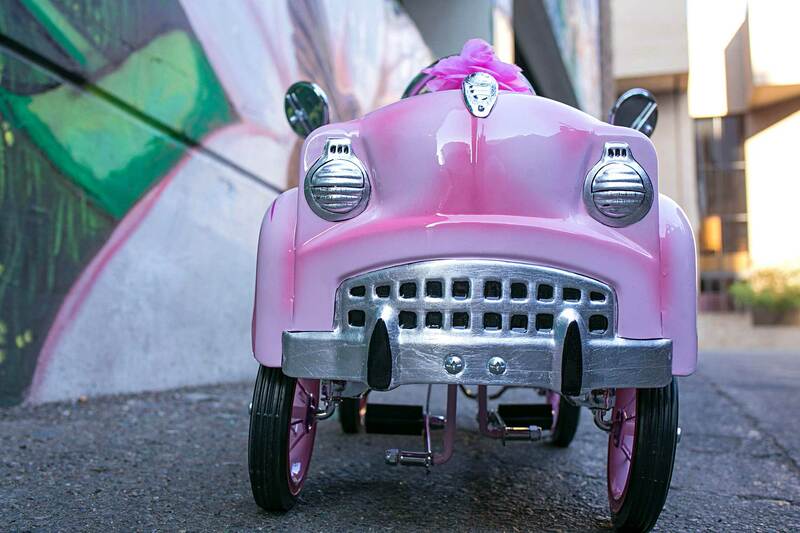 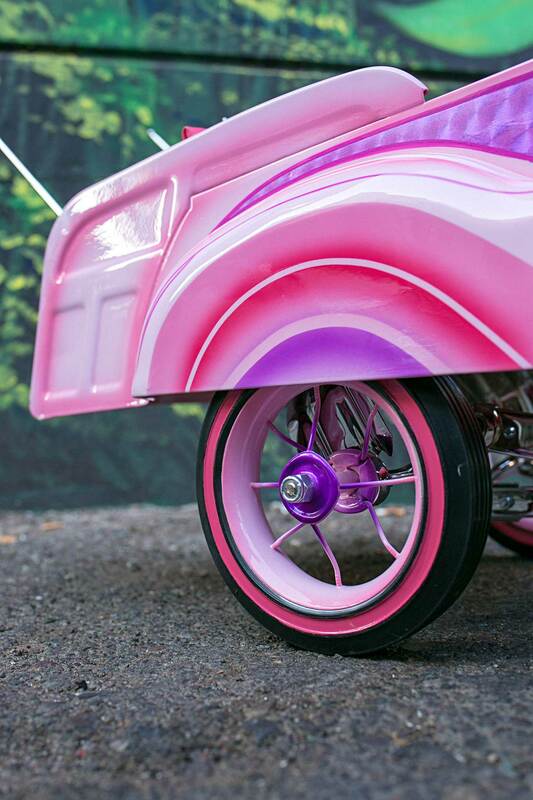 Bugz Auto Art contributed some pink candy leafing and pinstriping accents while all metal parts were either polished or chromed. 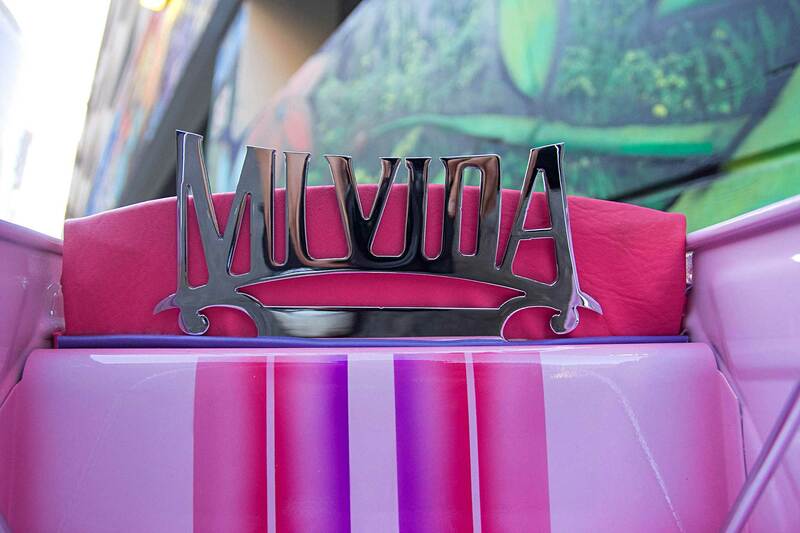 The final touch came by way of a custom vinyl seat embroidered with “Angie V” across the top. 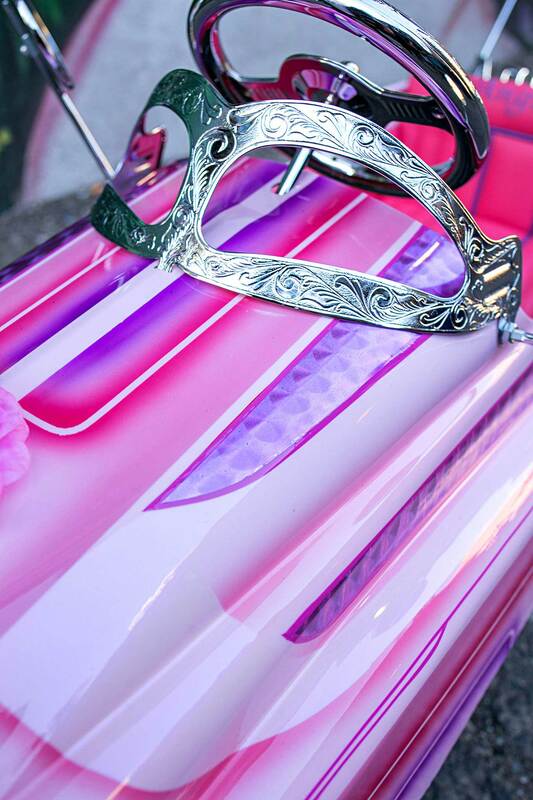 Although she’s still young, we’re positive that this little project will influence her in a big way, and as their family continues attending local car shows and racking up the trophies, it is clear that she’s on the right path.